Theresa Barnabei is recognized as one of the most inspirational speakers in her field, focused on getting students to take action that will make a difference in their own lives. She is a real estate educator and national trainer who has presented to associations, brokers, and other educators throughout the country. 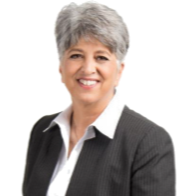 Theresa is an active member of the Real Estate Educators Association (REEA). In this 3-hour instructor development workshop, Theresa will walk attendees through a 5-step process that when applied, enables instructors and presenters to elevate their presentations from "Good to Great"! This presentation will help to improve your skills, including classroom management, instructor and student engagement, interactive learning segments, time management, and more. Director Allison will present important information about relevant legislative and regulatory changes that impact Illinois real estate licensees. This valuable session will include a Q&A opportunity. Martin Norkett. As you probably know, residential brokers have many skills that translate easily into commercial practice. However, providing industry-specific instruction, defining key terms, and exploring technological tools is integral to student success. The commercial approach requires a dramatic shift from a B-to-C (business to consumer) mindset to a B-to-B (business to business) mindset. compare commercial practice areas, including office, retail, multi-family, industrial, and niche. explore the various commercial information exchanges (CIE), social and professional networking options, and marketing tools used in the commercial practice. define key terminology used by commercial brokers. recommend next steps and additional resources for those interested in learning more. Overall, this session will provide a valuable introduction to some of the most important commercial real estate concepts. By member demand, Jon Schildt returns again this year to expand on topics introduced at last year's ITC. He will provide an overview of the most common types of lawsuits against real estate agents, and then examine ways to manage and mitigate the risks, including internal controls and the use of insurance. To learn more about sponsorship opportunities, contact Jo Letwaitis at 630-200-1149.